Carried by the hardened gunfighter. 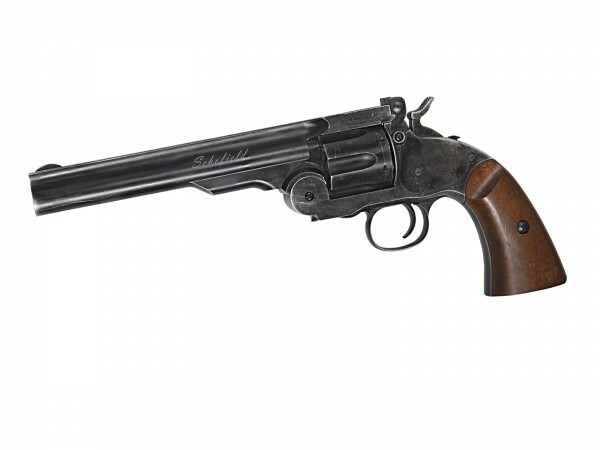 Own a piece of firearm history, The CO2 powered Schofield Airsoft gun is an ultra-realistic replica of the famed revolver used by many of the great gunmen of the Old West. Dummy cartridges, each holding a single BB, are loaded in this top-break revolver. The revolver functions just like the real gun including the ejector that quickly ejects the spent cases to allow for a fast reload. Roughed and old version in a distressed black with imitation wood handle.